Growing up, I participated in all sorts of sports including swimming and soccer. After years of dabbling at globo-gyms and competing in occasional 5K and open water swim, I found CrossFit in 2007 and have never looked back. 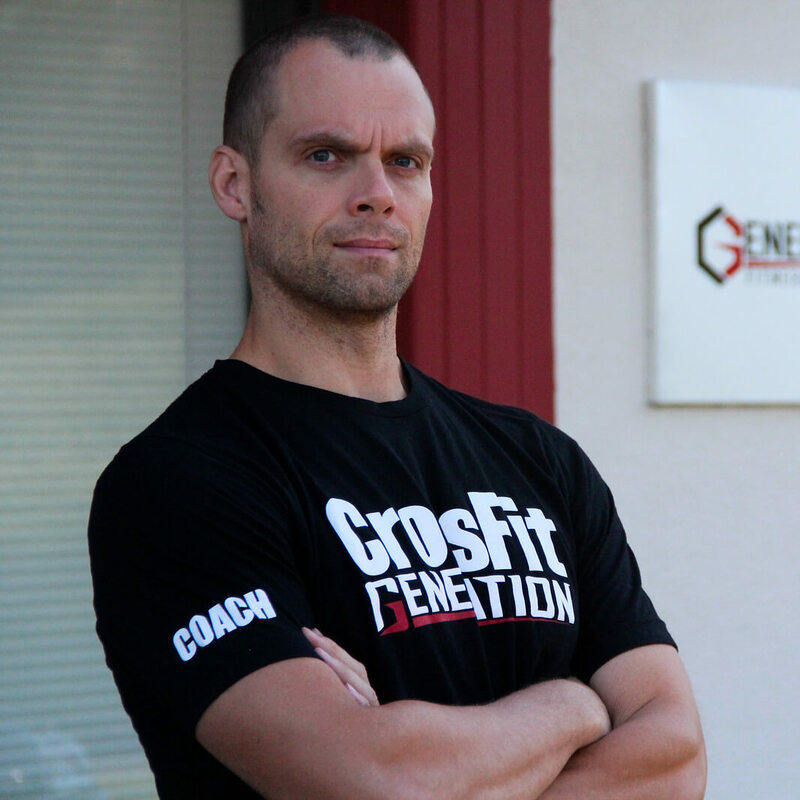 Training at CFG has changed my outlook on fitness and allowed me to stay competitive, as I participated in the CrossFit Open and regional events in 2009, 2010, 2011, and 2012. I was born and raised in Syracuse, NY and moved to the Philadelphia area after graduating from Penn State in 2001. At Penn State I participated in numerous intramural sports and graduated with a degree in Environmental Systems Engineering. Today, I live in Ft. Washington, PA with my wife Kari, son Owen, daughter Isabella and dog Sadie and in addition to coaching CrossFit, I teach physics at Radnor High School in Radnor, PA. I love watching new members come into our gym and start doing things that they once thought impossible…whether simply doing a proper air squat or throwing 200+ pounds over their head over and over again. I hope everyone that comes in our door can have the same overwhelmingly positive experience that I have had with Crossfit. CFG has a group of coaches second to none but the community really makes it tick.